Clinic Synopsis: As conductors, we are charged with the responsibility of communicating a myriad of information to our ensembles. At times our instincts compel us toward conducting gestures that “feel right” but elicit undesired responses. In this clinic, we will work through a few of these tendencies as we address concepts that present common conducting challenges. Bring your baton! Clinician Biographical Information Dr. Shanti Simon is the Director of Bands at the University of Oklahoma where she oversees the band department, conducts the Wind Symphony, and leads the graduate conducting program. Prior to her position in Norman, Simon served as the Flight Commander and Associate Conductor with The United States Air Force Band in Washington, D.C. and The United States Air Force Academy Band in Colorado Springs where she conducted performances in the national capital region and around the country. Simon was on the faculty of Shenandoah Conservatory as the Associate Director of Bands for the 2013-2014 academic year. In 2016, Simon deployed to the Middle East with the United States Air Force Central Command band as the Officer-In-Charge, overseeing musical troop-support, community-outreach and partnership-building missions in seven countries. Before joining the Air Force, Simon earned her MM and DMA degrees in conducting from the University of Minnesota where she studied with Craig Kirchhoff. She received her BME and BM degrees from Stetson University with Bobby Adams. Hailing from Florida, Simon served as the Associate Director of Bands at Vero Beach High School for four years, where her ensembles consistently earned top ratings in all areas of district and state assessment. Simon is active across the country as a guest conductor and clinician. Dr. Eric Allen is Associate Professor of Music and Assistant Director of Bands at Texas Tech University. His responsibilities include serving as conductor of the Symphonic Band, teaching undergraduate conducting and serving as director of the Goin' Band from Raiderland. He also teaches music education courses within the summer masters program. Under his direction, the Texas Tech University Symphonic Band has performed a diverse series of concerts including many collaborative performances with faculty solo artists. The ensemble recently performed at the CBDNA Southwestern Division Biennial Conference in Boulder, Colorado. 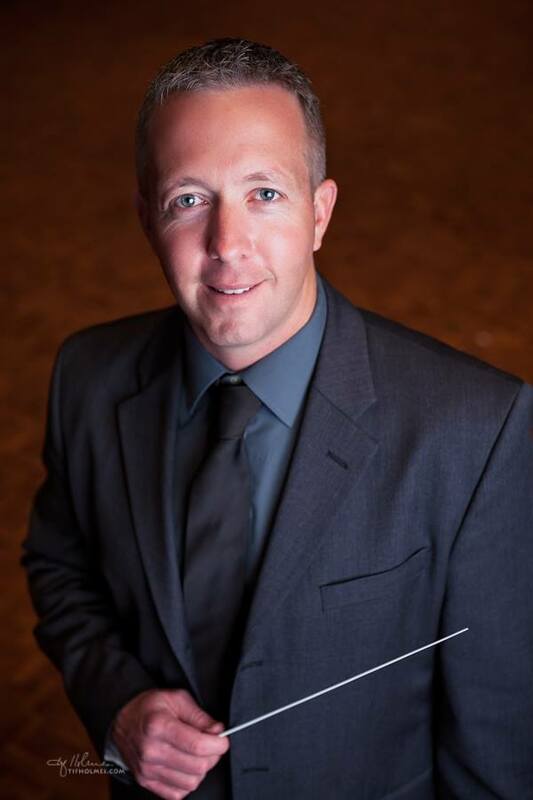 Allen's recent work with conductors includes presentations at the Texas Music Educators Association Conference, Colorado Music Educators Association Conference, and the Florida Music Educators Association Conference, and he is scheduled to present a collaborative conducting session at the 2018 Midwest International Band and Orchestra Clinic. He contributes regularly as a featured clinician at the Conducting Symposium at Puebla State Conservatory in Puebla, Mexico. Dr. Allen also serves as Coordinator of Instrumental and Special Music at LakeRidge United Methodist Church (Lubbock, TX) where he conducts the worship orchestra at weekly services. Through his work at LakeRidge, Allen helped establish and serves as the artistic director of the LakeRidge Concert Series. The series features the LakeRidge Chamber Orchestra conducted by Allen, a professional ensemble that performs artistically stimulating programs for the Lubbock Community. Prior to his work in Lubbock, Allen served as Director of Bands at Sebastian River High School in Florida where his ensembles performed at the National Band Association Conference, the FMEA President's Concert, the National Concert Band Festival and the Midwest International Band and Orchestra Clinic. Dr. Allen frequently serves as a guest clinician in secondary schools throughout the region. He holds Bachelor and Master of Music Education degrees from Florida State University and a Doctor of Musical Arts in Conducting from the University of Minnesota. Dr. Allen is an active member of the Texas Music Educators Association, the College Band Directors National Association and the Alpha Chapter of Phi Beta Mu. He holds honorary memberships with Phi Mu Alpha, Kappa Kappa Psi and Tau Beta Sigma.